The CBC Board is meeting in mid-March. With the CBC in serious financial trouble and audience disarray, it's time to consider a new model for public broadcasting in Canada. One that works - not perfectly - but extremely well is National Public Radio in the United States. NPR works because it is rooted in a system of local support of member stations. This deep sense of localism and volunteerism means that listeners directly support the system, both financially and organizationally. NPR owns no stations, but delivers high quality news and information to almost 900 public radio stations. It's a system that evokes a powerful sense of loyalty and support. People openly identify as "NPR listeners." When is the last time you heard someone proudly describe themselves as a "CBC listener?" 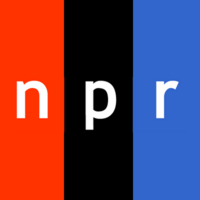 Public radio in the US, is supported by a combination of listener donations to the stations (NPR can't solicit money directly from listeners), combined with corporate and philanthropic support, plus a small percentage of Congressional funding. The result is a network of citizen supported radio that is growing, credible and respected. In the US, the phrase "I hear it on NPR," is code that indicates a certain type of American. It's a ubiquitous phrase that, according to audience surveys, can be heard uttered by about 30 million Americans a week. It is also an audience that self-identifies as only slightly more liberal than conservative. It is an audience that is highly educated, relatively affluent and prone to be involved in community and political activities. Public radio listeners vote at a rate of almost 80%. It is, say the pollsters, a demographic to die for. More tellingly, public broadcasting listeners and viewers have a high degree of loyalty - not just to PBS and NPR, but also to their local stations. So deep is the affection for those stations and their thrice-yearly demands for audience support, that in the midst of the recession some public stations are raising MORE money than they needed. In Canada, the CBC is the object of dismay from precisely those listeners and viewers who should be the most loyal. Why the difference? Recent announcements that CBC may be short anywhere from $60m to $140m has renewed the discussion about "whither the CBC." The question itself is as much a part of Canadian cultural life as any of our most sacred icons. But the global economic crisis has lent an urgency to the question and Canadians should not miss an opportunity to answer the question in a more definitive manner. The CBC's financial problems are directly related to the question, "What should a public broadcaster be?" Most countries with public broadcasting systems wrestle with this, but it's in the United States that a certain clarity of vision has emerged. PBS (the television service) and NPR (the predominant radio content provider) have found their niche in the most highly competitive media market in the world. Those niches (there is more than one) are "local" and "quality." American public broadcasting still receives some Congressional funding, but at a much lower rate than the CBC receives in its annual Parliamentary grant. In the US, federal funding from the Corporation for Public Broadcasting averages less than 11% of a public radio station's operating budget and only 30% for tv stations. NPR as a content provider receives less than 2%. However, compared to other western European public broadcasters, the US and Canada rank almost at the bottom of the list for government support. On a per capita basis, Canada had the third lowest level of public funding of 18 Western countries in 2004, according to a 2006 Nordicity study commissioned by the CBC. Canada's $28 per inhabitant was ahead of New Zealand and the U.S., and far below the $80 average across 18 countries. Canada's funding was 20% of the level of the leading country, Switzerland. Given the present state of the world economy, the situation in Canada and the US is unlikely to change. So how does NPR do it? Most of the money comes from listeners and viewers (more than 50%) and the rest from donations from foundations and philanthropic organizations. At NPR, listeners believe they have a direct stake in the operation precisely because their donations to the stations are so important. They are active participants and engaged in how the stations should run and what should be on the air. NPR hears from station management constantly. That's because at NPR, the customers (the stations) own the company. Of the 17 members of the NPR board, 12 are public radio station managers. The power of public broadcasting in the US is based in its local context and connection to their communities. Canadians may mock the pledge drives, but they are an accurate and intense contact between the stations and the communities that support them. A few years ago, NPR, working with the member stations (almost 900 of them) decided that the pledge drive needed to be more like the most interesting and attractive programs. By re-designing and reinvigorating them, the pledge drives have become "must-listen" parts of the public radio offering. More significantly, NPR decided that it had to make choices at a time when it could no longer afford to provide high quality news and cultural programming. In 2000, most cultural programming was abandoned and resources were put into news and information. Within five years, NPR had almost tripled its audience, gained new revenue and assumed its rightful role as an important information source for Americans. The CBC in recent years has demonstrated that in the pursuit of ratings (more the definition of a commercial broadcaster than a public broadcaster), it has only resulted in calling its essential role into question. NPR has shown that it can do both: produce high quality news and information and deliver a large audience. But hard choices have to be made. It's time for the CBC Board to consider a better way to fund a public broadcaster that is worthy of the name and that treats Canadians as citizens first and as media consumers second. I agree about the attachment NPR listeners have with their local stations, but don't think that funding model would meet with sufficient success here. For one reason, there just aren't enough people in Canada to generate enough money. For another, we don't have the same tradition of private charitable foundations supporting such enterprises. Even if I'm completely wrong on those counts, there's no way I could stomach those endless fundraising drives. Would much rather continue to 'donate' my 9-cents a day via income taxes. Seconded on paying for it with my income taxes, my GST, the customs duties and whatever else hits my wallet.